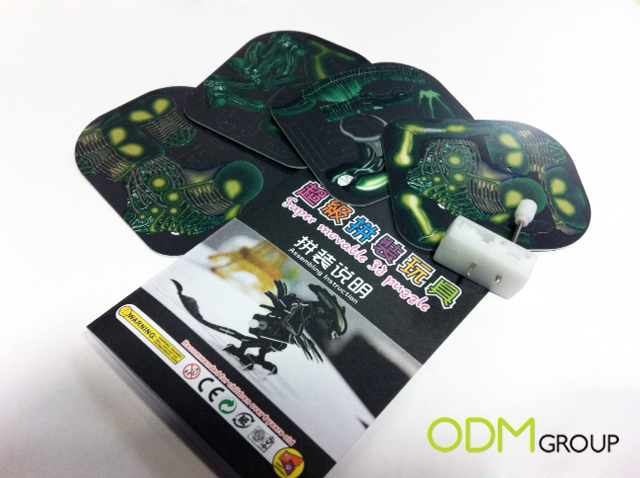 Spotted an innovative promotional idea at the HK Toys & Games Fair yesterday! This could be one of the most popularpromo gifts for kids product in 2012. Following our previous blog posts about 3D puzzle soccer and 3D puzzle as promo gift, this 3D puzzle comes with an additional motor, which makes it movable. 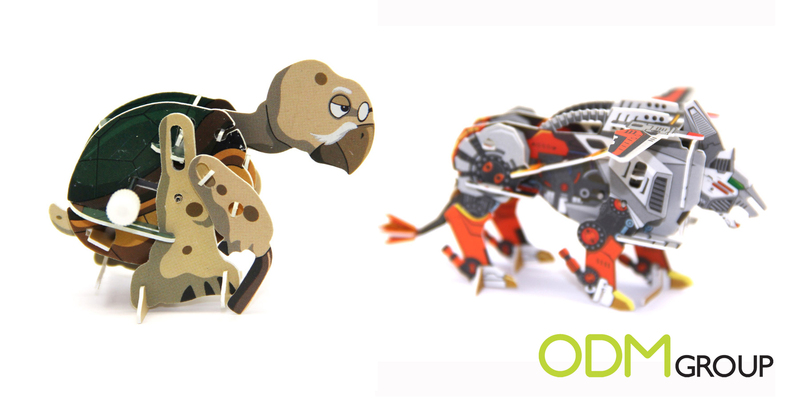 Double the fun when you can build your own moving toy! The box contains puzzle pieces, a motor and an instruction sheet. 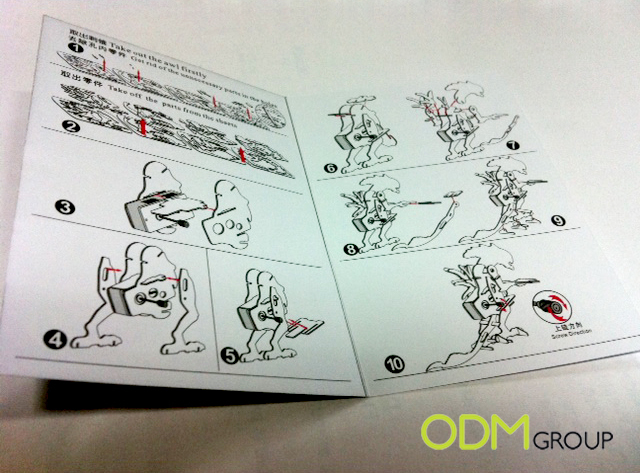 The instructions are clear with pictures, yet challenging enough, making it perfect educational promo toys for the kids. 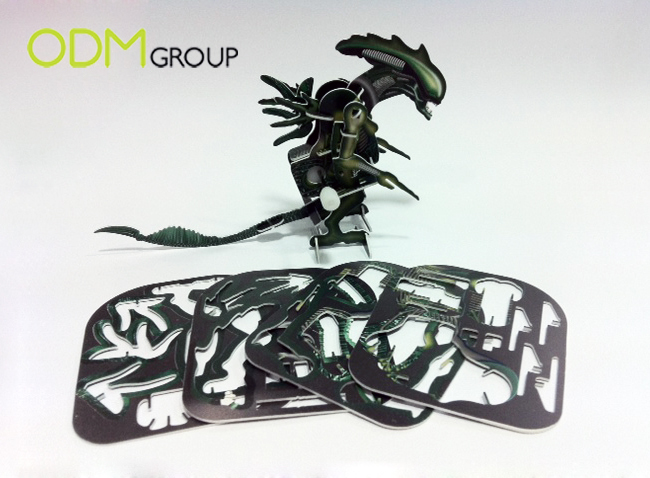 Simply remove the puzzle pieces from the card and assemble them accordingly to form the toy. When it is complete, twist the knob and watch the toy move. Light and affordable, this toy is definitely a great on-pack promo gift for kids related products. ODM got a puzzle from the fair and had fun while assembling it. Check out the end result! Promo Cocktail Glasses for Children!